“Greg Weber makes amazing guitars. From the wood he starts with to the intricate inlays, he is in tune every step of the way. I have taken my Greg Weber all across this country and beyond and get nothing but compliments from audience members and other musicians. 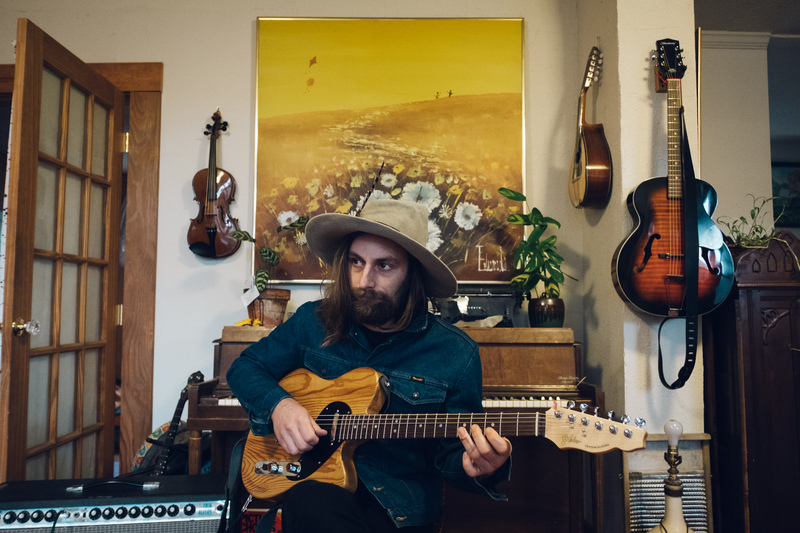 I love this guitar!” -John Craigie, internationally renowned performer, songwriter, and recording artist. “Greg’s guitar work is on point with any big name custom shop out there today. Greg’s Falcon came out of the box as if it had sat in someone’s closet for forty five years and was meticulously setup and intonated by the best of techs and magically transported into my hands. The range of tonality and feel is superb at least and absolutely enchanting at best. 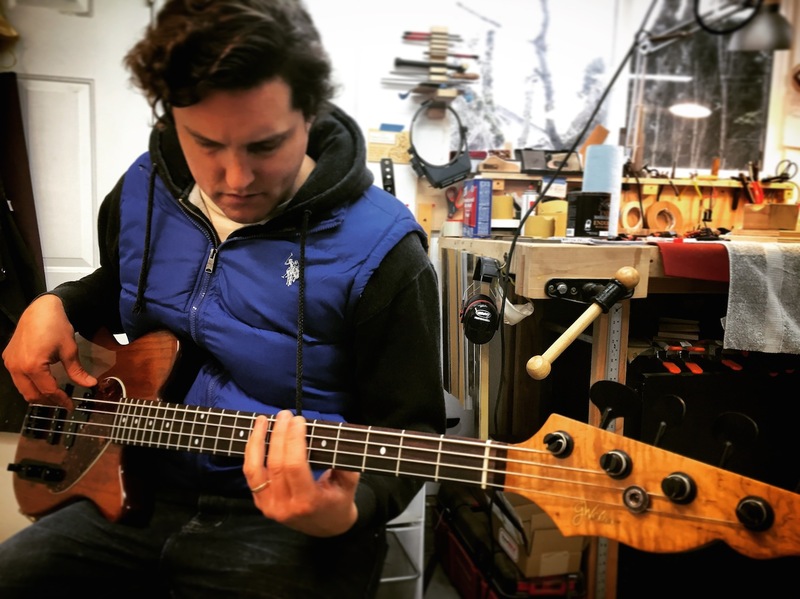 If you want an axe that will push you to the brink of what you thought you were capable of doing and sounding like then a GW axe is right for you.” -Bobby Hanson, Santa Cruz, Ca local musical legend, guitarist, bassist, teacher, and studio musician (pictured above with the Condor Bass which Bobby was the inspiration for, and below with his Falcon). “I had to have two of Greg’s guitars to cover a wider spectrum of tonal possibilities in the recording studio. They play and sound as good as they look, and the intonation is spot on which is crucial for recording. 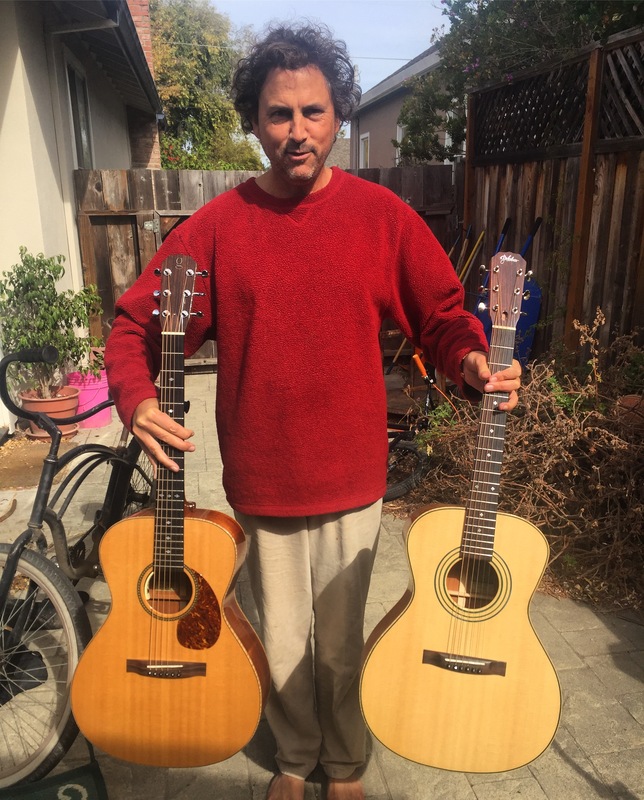 I might need three!” – Ron Work, Santa Cruz, Ca local musical legend, teacher, studio musician, recording engineer, producer. 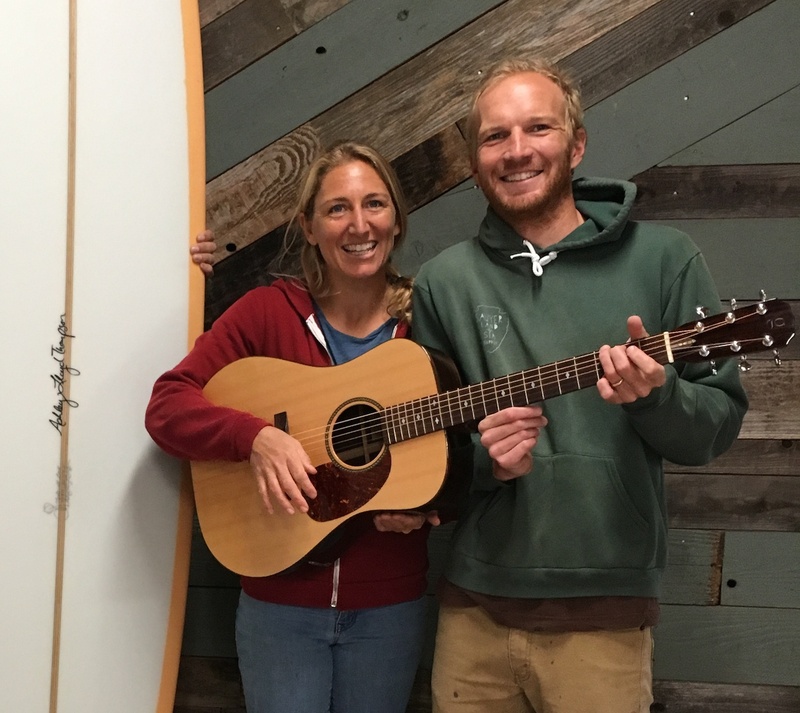 “We love the guitar so much-Great job!” – Ashley Lloyd Thompson and Alex Thompson, singers strummers and songwriters in The Shapes of Santa Cruz, Ca. Ashley and Alex also shape incredible surfboards! “I couldn’t be more happy with my custom build. Greg has the skills and imagination to make your dream guitar a reality! 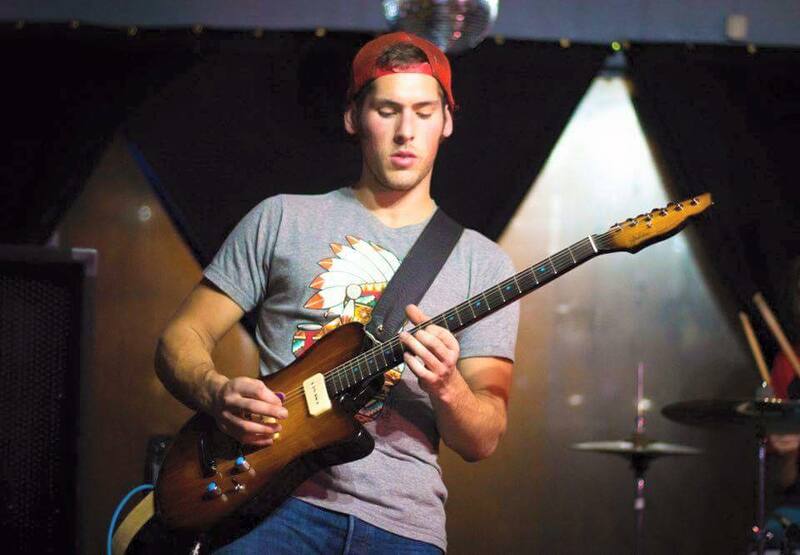 I’m a diverse guitar player and I currently tour with Satisfi, a Reggae Rock band and also play part time in a Country band. This custom made Greg Weber has all I would ever need to throw down a great show no matter the type of music. The action, and sound of my guitar is amazing and the look of it matches its capabilities! 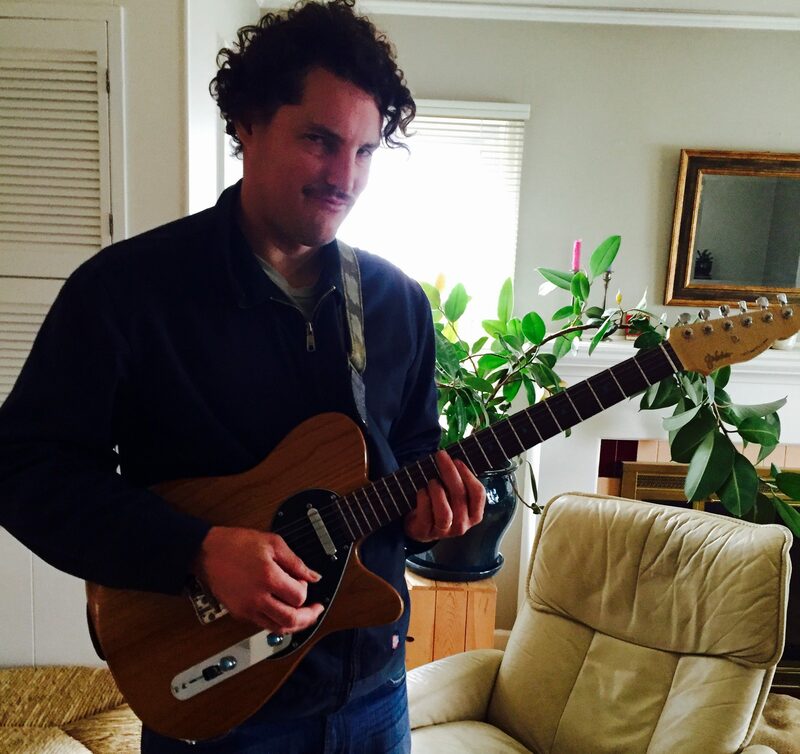 The comfort level of this guitar is a 10” ~Ryan Brooks, guitarist in Satisfi, Portland, Or.